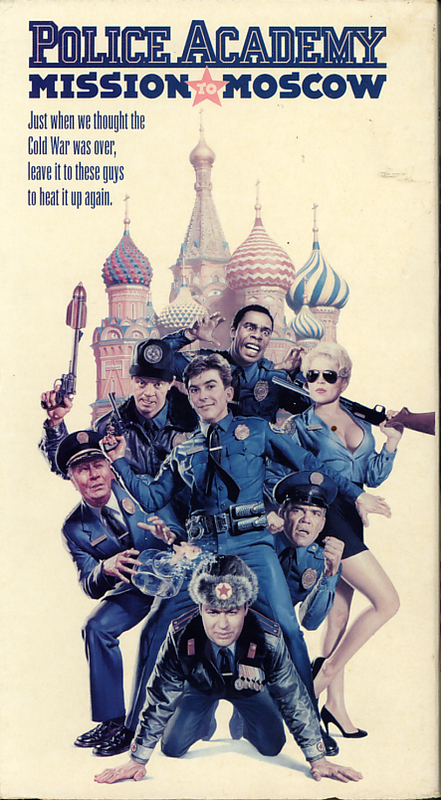 Police Academy: Mission To Moscow on VHS. Movie starring George Gaynes, Michael Winslow, David Graf, Leslie Easterbrook, Claire Forlani, Ron Perlman, Christopher Lee, Charlie Schlatter, G.W. Bailey. Directed by Alan Metter. 1994. Just when we thought the Cold War was over, leave it to these guys to heat it up again. Alan Metter directs and a welcome ensemble again puts on departmental blues for all-new comedy antics. This time, addle-brained Cmdt. Lassard, motor-mouthed Jones, gun-fanatic Tackleberry, curvaceous Callahan and human steam vent Capt. Harris are called into action against the Godfather of the Russian Mafia. The imperious Don aims to tap into worldwide databases with a secret computer program he’s developed. But leave it to the Academyites to turn it into a case of arrested development! 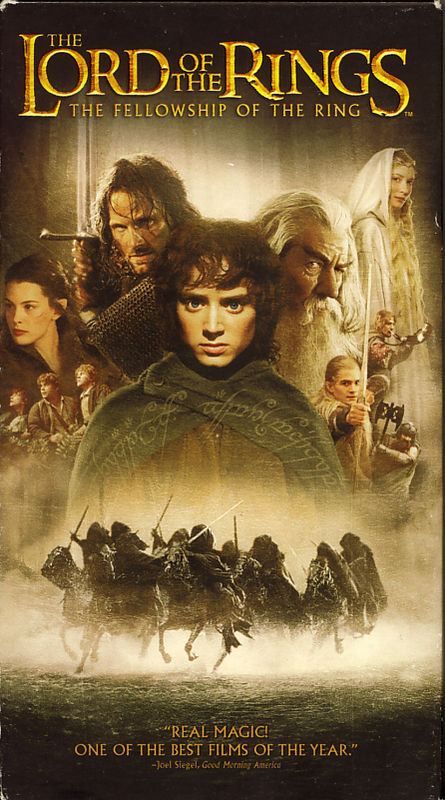 Lord of the Rings: The Fellowship of the Ring on VHS video. 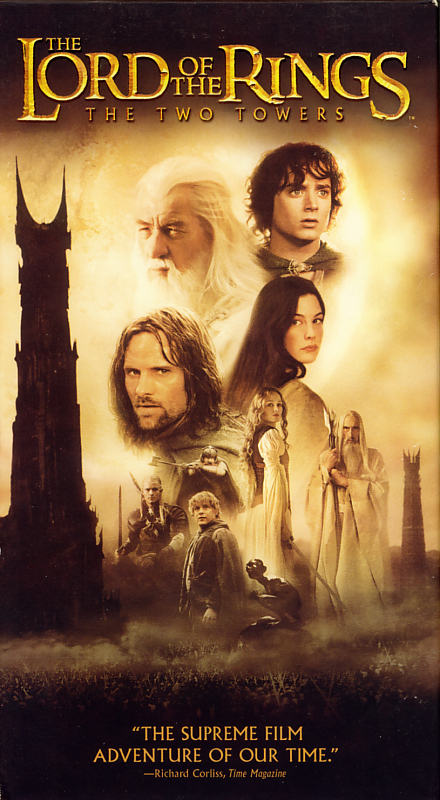 Starring Elijah Wood, Ian McKellen, Orlando Bloom, Alan Howard, Sean Astin, Ian McKellen, Andy Serkis, Ian Holm, Liv Tyler, Viggo Mortensen, John Rhys-Davies, Cameron Rhodes, Sarah McLeod, Christopher Lee, Cate Blanchett, Sala Baker. Directed by Peter Jackson. From the book by J.R.R. Tolkien. 2001. With the help of a courageous fellowship of friends and allies, Frodo embarks on a perilous mission to destroy the legendary One Ring. Hunting Frodo are servants of the Dark Lord, Sauron, the Ring’s evil creator. If Sauron reclaims the Ring, Middle-earth is doomed.